Taraji P. Henson was busy this morning in New York making press runs for her new movie, The Best of Enemies (out April 5th). 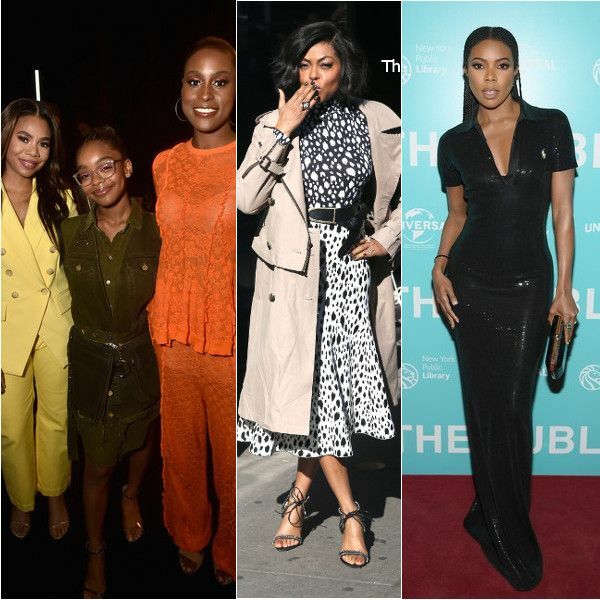 New mom Gabrielle Union - who covers Parents magazine with her daughter Kaavia James - made her way to the at New York Public Library for the NYC premiere of The Public. The "Being Mary Jane" star rocked a black floor-length Ralph Lauren gown for the film festivities. By the way, the 2-hour series finale of "Being Mary Jane" airs Tuesday, April 23rd at 8/7c. Also, Gabby's Bad Boys spin-off "L.A.Finest" series premieres May 13th on Spectrum in Canada. LITTLE's leading ladies are still hot on the promo trail before their comedy hits theaters next Friday (April 12th). 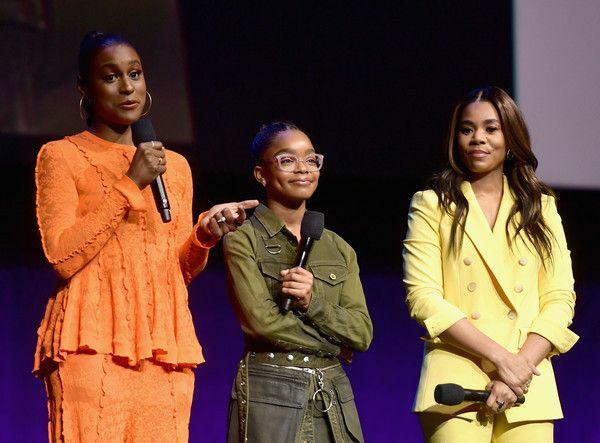 Yesterday, Regina Hall, Marsai Martin, and Issa Rae (along with producer Will Packer) trekked it to Las Vegas to attend the 2019 CinemaCon event, which was held at The Colosseum at Caesars Palace to chat about their upcoming flick. 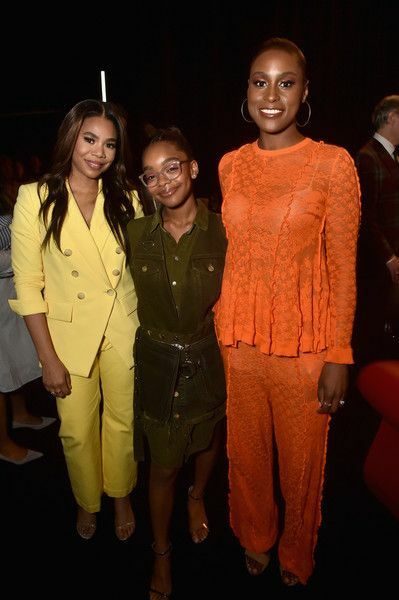 If you haven't heard, Marsai Martin stars and is an executive producer of the film, making her the youngest producer of a major Hollywood motion picture in history. Not only that, the "black-ish" cutie came up with the idea of the film and pitched it to Universal when she was 11! Her skills are so nice that she and her Genius Productions company just signed a first-look deal with Universal Pictures. 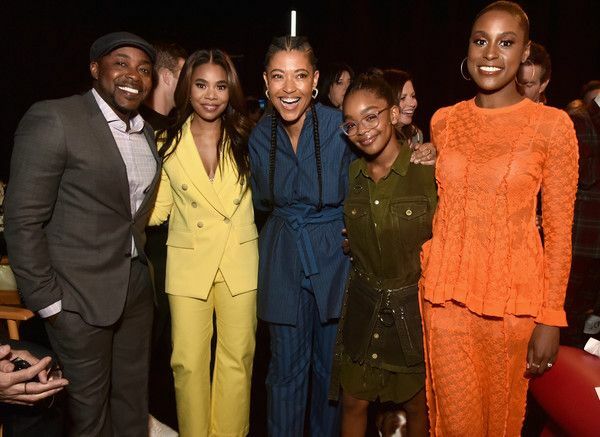 In a recent interview with VICE's Broadly, the 14-year-old - who covers the newest issue of Teen VOGUE - talked about how nervous she was in the beginning, but over time, she got so comfortable with the script, she memorized the entire thing! "With Little, I was nervous in the beginning, so I was practicing the script over, and over, and over again until I actually got it right because, of course, this is my first feature film in something that I'm the EP [executive producer] on, so I wanted to have the opportunity to not be stressed out and just really learn without being stuck any way," the actress shared. "In the first three days of Little, I was just practicing the script fully all the time. And then it was to the point where I would be comfortable in it, and I'd just get to work and be like, 'OK, this is fine. I've got this.' It was pretty smooth getting to that point"
We're SO excited to see how Marsai continues to grow in this industry. It's refreshing to see a young, black girl making huge career moves so other little girls like her can see that dreams do come true. The ladies were seen strutting their stuff through the concrete jungle. There was a rumor going around that the "Insecure" creator/star was engaged. She had something to say about it all HERE. Andnyeah, we still believe she is. Push through with all the LITTLE inspired 'fits. 48-year-old Regina Hall is out here looking like the poster child for black don't crack! Not loving the top but her gorgeousness makes up for it. ...And from ALL angles. Werk!